Welcome to week 4 of the Fall 2016 One Room Challenge hosted by the fabulous Linda from Calling It Home! Week 4 means that the challenge only has 2 weeks left! I need to kick it into gear! 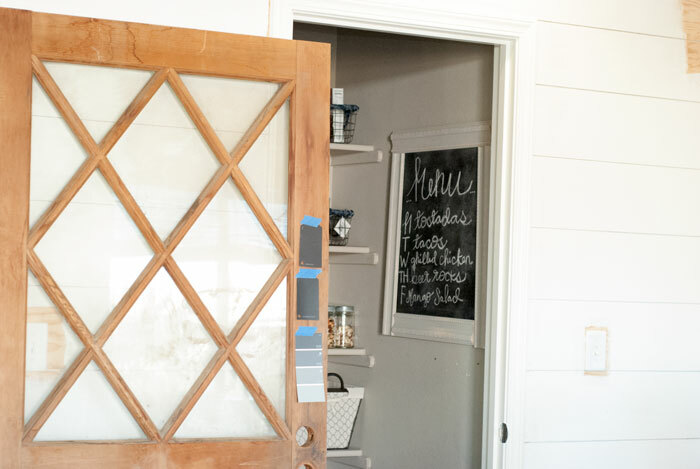 The One Room Challenge™ is an event that takes place every April and October, where 20 selected design bloggers transform a space in their home over the course of 6 weeks. You don't just have to be a pro to participate. Any blogger can join in the 6 week makeover challenge. I am one of those and we are called the "Guest Participants!" Fun right? We motivate and encourage each other on what can be sometimes stressful when there is a deadline but I assure you that we love it or else we wouldn't sign up for it. Sometimes all we need is a deadline to tackle a room makeover that we have been dreaming of or thinking about. I get the most work done with deadlines. Do you? So far, I've shared what my space looked like during our building process during week 1, my mood board during week 2 and some sneak peeks during week 3. The more I work on this space, the more I fall in love. For me, the ORC made me get excited to transform my dining area after thinking about it this past year. I had a vision of transforming my builder grade home into something with character and more of my style. I really have a few distinct styles and I'm slowly trying to mesh them together. It's this crazy vision I have in my head. I'm talking about farmhouse, French country, glam, chic, boho and restoration hardware style all wrapped into one. Crazy right? So last week I shared with you an up close photo of the vintage door that I found on a Facebook yard sale site for $25. This is actually the back side of it and it has another color on the other side. I am in a huge internal struggle with the future color of this door. I love the raw wood but it also has an orange tone so I'm torn. This is probably the hardest decision out of the entire room because it is a huge statement piece. You can check out my menu chalkboard tutorial with DIY frame HERE. Check back next Thursday for even more progress as I put everything together! After all is revealed I'll be diving into tutorials! I love the door! Have you considered white washing it? The wood is sooo pretty!